The Great Basin Desert of southeastern Oregon defines the northern extent of the distribution of the kit fox (Vulpes macrotis), a species which became state-listed as threatened under the Oregon Endangered Species Act by grandfathering from the Oregon Fish and Wildlife Commission’s earlier informal list dating from 1975 (Hiller 2011). The Oregon Conservation Strategy also lists the kit fox as a Strategy Species that is difficult to survey due to its small physical size, nocturnal behavior, and low population densities in the Northern Basin and Range Ecoregion in Oregon (Oregon Department of Fish and Wildlife 2006). Although records are sparse, there have been efforts to document kit fox occurrence in Oregon using various survey methods (e.g., scent-stations, spotlighting). Until confirmation of presence during summer 2012 (Milburn and Hiller 2013), the most recent kit fox detection in Oregon was almost 2 decades ago. Data collected from these ongoing independent surveys are critical, and other contemporary methods (e.g., radiomarking with GPS collars) have been implemented to collect more specific data. 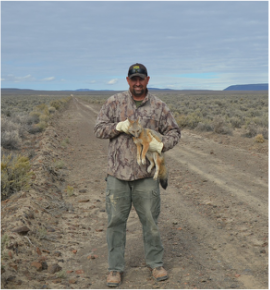 ​A project to assess the distribution of kit foxes throughout southeastern Oregon was initiated in 2012 by the Oregon Wildlife Institute and with assistance from Tim Hiller while he was with the Oregon Department of Fish and Wildlife. 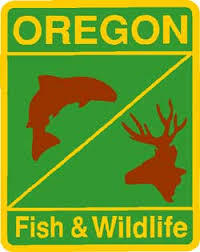 OWI, ODFW, and the Wildlife Ecology Institute continue this survey, but now at a smaller scale. The Oregon Wildlife Institute produced a ​Conservation Assessment of the Kit Fox in Oregon based on this work. 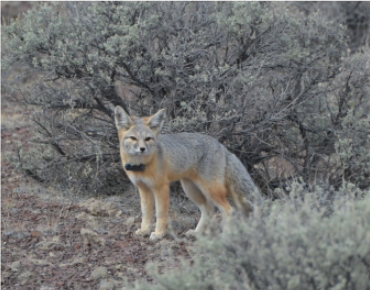 To complement the camera survey, a project was developed to capture and GPS-collar kit foxes in southeastern Oregon. Field work for this project started in 2013 and is designed to continue until 2016. There is great potential for radiomarked kit fox to provide information useful for land-management decisions in southeastern Oregon. For example, kit fox marked in or near areas where wildfires affected ecosystems could provide insight into how these landscape-scale disturbances affect kit fox ecology. Also, information collected prior to potential energy development in this region could serve as a baseline for siting and other decisions. 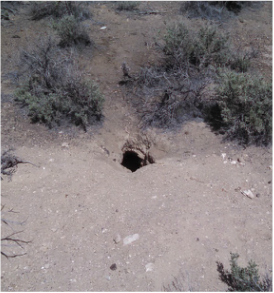 Collection of information on kit fox preference or avoidance of certain ecological (e.g., sage-grouse leks) or topographical (e.g., roads) features may reveal interesting relationships useful for making informed management decisions. There currently have been no data collected on space use or resource selection of state-listed kit fox in Oregon, particularly to assess limiting factors. 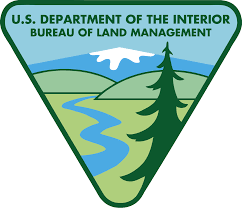 Data collected through this project will enhance the ability of managers to make informed management and conservation decisions and serve as a baseline for any future large-scale system perturbations (e.g., mining, wildfire) within the sagebrush steppe communities in southeastern Oregon. Implications from this study may also be used by other agencies, especially those with similar communities and adjacent to Oregon. Development of estimates of space use and resource selection may also allow contribute to the knowledge base when managers are involved with anthropogenic impacts to southeastern Oregon.